Homes for sale on Lake Pulaski have done well over the years, even during the past market downturn home values stayed stronger than many other areas. Buyers looking for lakeshore homes in Buffalo are drawn to Lake Pulaski for its size, beaches, water clarity, and array of home choices it offers. Hooking that perfect lake home you’ve always wanted may be easier than you think on Lake Pulaski. There are two parts to the lake known as “Little Pulaski” and the “Main Lake” or main bay. Homes for sale on Pulaski range in price from the $300’s to well over $1 million. If level lakeshore is what you’re looking for many home buyers will look for homes on the east or south side. There are other options for buyers looking to have access to Lake Pulaski that won’t break the bank. On the northern end of the lake you’ll find the Pulaski Shores neighborhood. Homes in Pulaski Shores can often be found in the $200’s. These homes may not have direct lakeshore frontage but they do have dock and beach rights through the neighborhood association. In 2018 about a dozen homes sold on Lake Pulaski with a median sales price of $516,714. 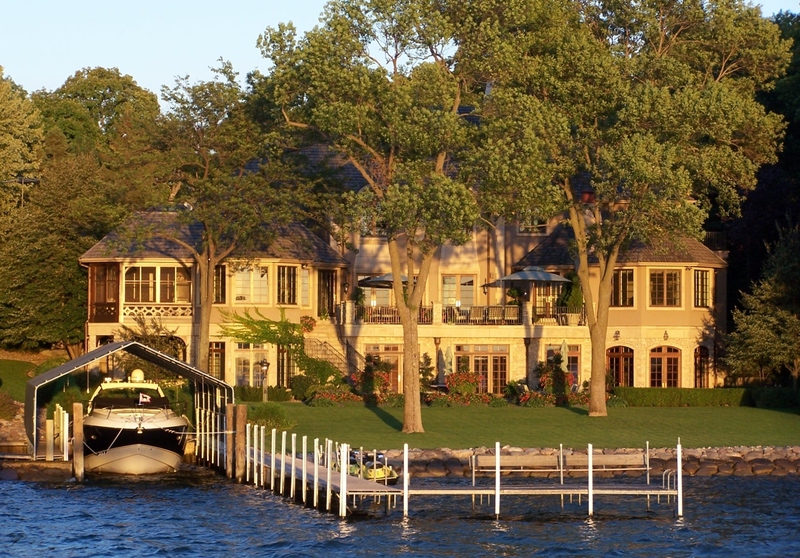 I have sold homes on Lake Pulaski to a large variety of clients. Those looking for an affordable lakeshore home all the way to those seeking a luxury lake-home both perfect for entertaining with lake fun for the whole family. Pulaski is 702 acres, and has a maximum depth of 87 feet, with an average depth of 25 feet. The water clarity of Pulaski is said to be eight to nine feet. There is a city owned access on the SW shore with a concrete ramp and twelve trailer spaces. The lake is one of the larger and deeper lakes in Wright County Minnesota, and is located within the limits of the City of Buffalo. It is approximately a half of an hour drive from Minneapolis. If you’re looking to sell a home on Lake Pulaski or want to search homes for sale on the lake, contact Lake Pulaski Realtor Derrick Monroe today for a free, no obligation market analysis of your home or a list of current homes for sale on Lake Pulaski. Our agents can run a search of the Lake Pulaski MLS on your behalf to show you homes for sale and e-mail it to you free or meet you for a private showing. Contact our Realtors for Lake Pulaski at 612-282-SOLD (7653) or use the contact from below. Start your search for lakeshore in Wright County today.